Highly controversial Yoruba monarch Rasheed Adewale Akanbi, the Oluwo of Iwoland has extended hand of love to ailing singer Bankole Wellington who is currently recovering from a painful skin cancer surgery. 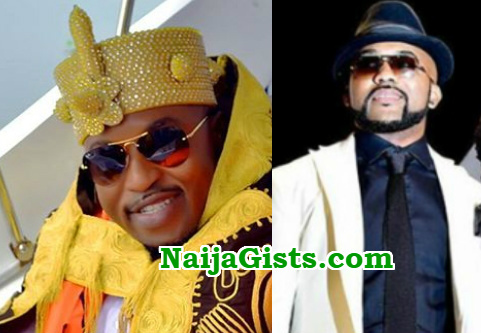 The monarch took to Instagram yesterday to pray against the spirits afflicting Banky W’s body. 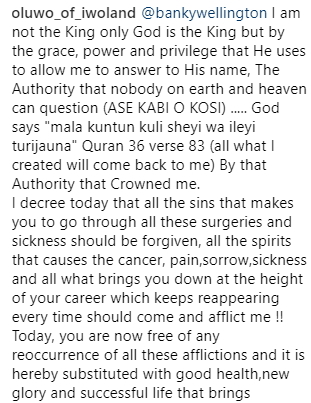 He wraps up his prayer by commanding the spirits behind skin cancer recurrence in Banky W’s life to come and afflict his body. That’s what happen when one mix weed with akamu, yeyenatu.